As always, simply click the icon below to open up the PDF– which you can then print for your fridge or save to your computer. Clicking any of the events will, as always, take you to a page with more information about the event(s). We’re excited to explore Los Angeles and Ventura with you this month- and welcome your suggestions if there are any events we forgot to mention! 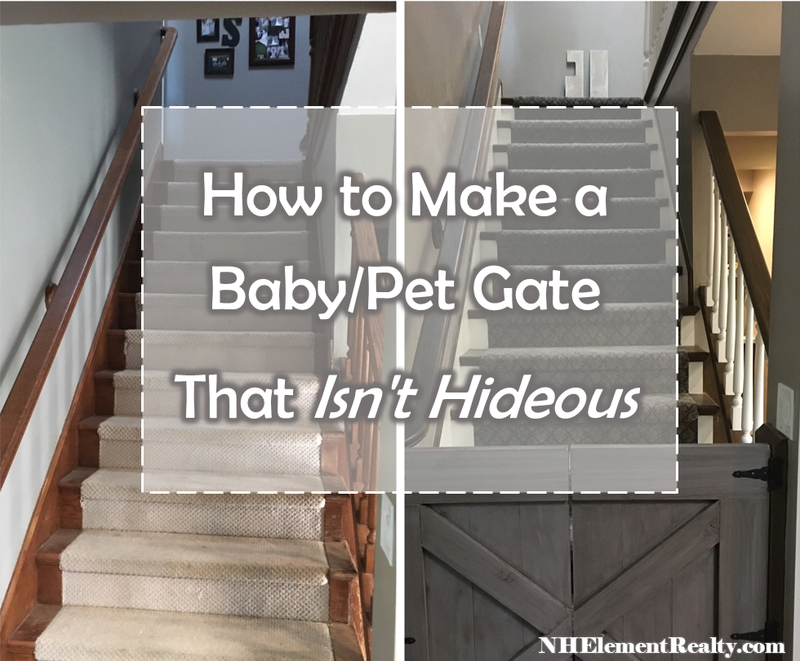 Whether you’re expecting a new baby or welcoming a fur-baby into your home, the reason for which you need a gate is exciting! 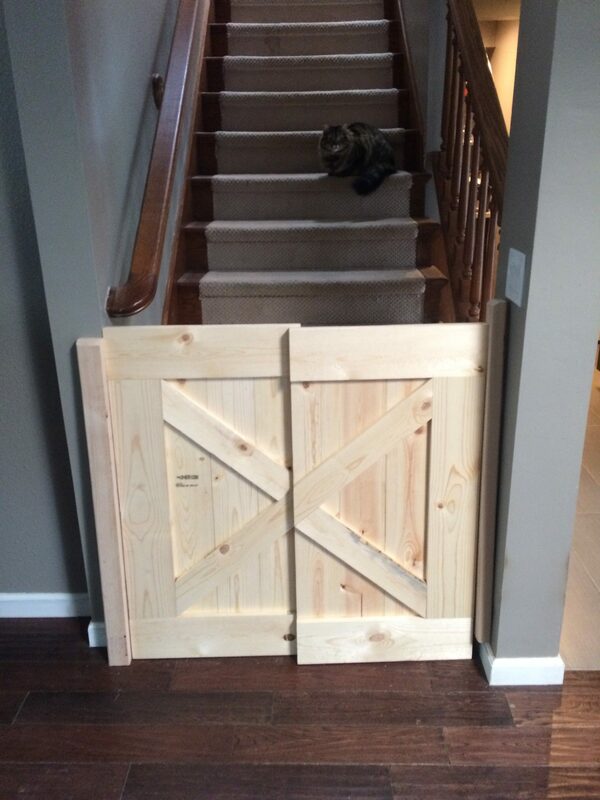 So don’t let the ugliness of conventional indoor gates get in the way of your anticipation- build one of your own! We found (and then tried!) 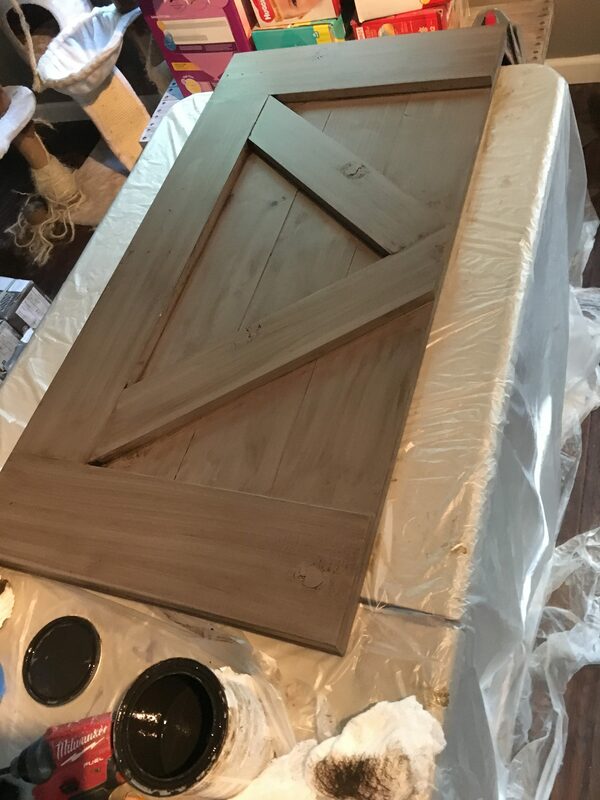 this adorable barn door baby gate DIY project- and believe it or not, we were able to create a gate that not only looks okay in our house- it adds to the design and seriously makes our house cuter than before! Click the picture below- it takes you to a post that explains how to make a gate very similar to the one we made. It helps to have a handy husband, but the instructions on this tutorial are thorough- so you don’t need to sweat it if you’ve never built anything before. This is a photo of possibly the most important part- the cat. Just kidding. Fitting the gate before you finish or paint it! Here you can see that even though we measured, the doors were overlapping- probably wouldn’t have been fun to fix that after the fact. Even if you’re as careful as humanly possible, there’s still a chance that your stain or paint will end up somewhere you didn’t want it. So my advice is to keep a plastic tarp or table cloth underneath, and/or paint outside. And finally…look! 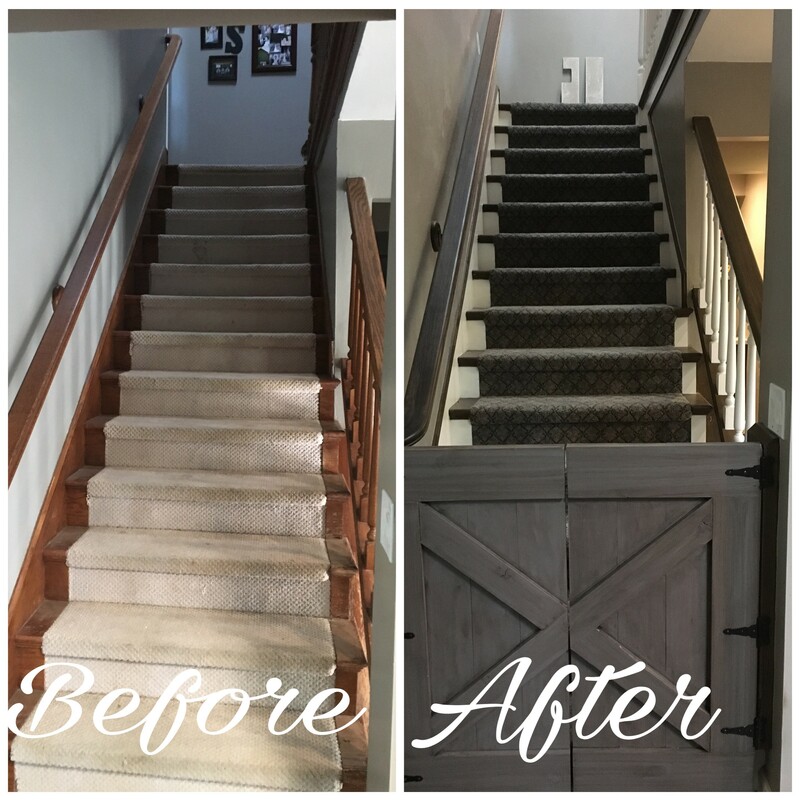 Along the way, we re-finished the banisters to match (because I was so over the previous color) and redid the carpet to compliment the new look. We couldn’t be more thrilled about how it turned out! It’s almost the month of celebrating lovers and the rich cultural history and contributions of black America- so as you can imagine, there’s a lot of fun (and learning) to be had in this month’s Family Events Calendar. As always, simply click the icon below to open up the PDF– which you can then print for your fridge or save to your computer. Clicking any of the events will, as always, take you to a page with more information about the event(s). We’re excited to explore the history of Los Angeles and Ventura with you this month- and welcome your suggestions if there are any events we forgot to mention! When the holidays are over, it can feel like all of the magic has worn off. No more lights sparkling on every street, no more peppermint hot cocoa, and no more of that excitement in the air. I know- we get depressed just thinking about it, too. BUT, we’ve thought of a way that your new year can still have some of that magic. And, like always, there’s a link either to buy or make the item in each photo- just click on the photo to be led there! 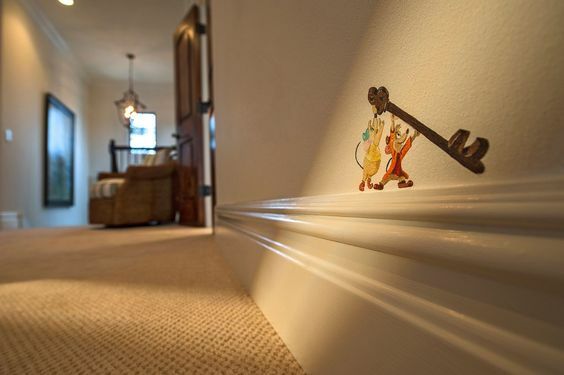 For a fraction (literally like 1/100) of the cost of a ticket to the parks, we’ve thought of a few low-cost, subtle ways to add just a touch of Disney magic to your home or apartment (hey- even dorm room!). These cute little ideas are perfect for kids and house guests- and we can’t wait to give your home the feel of ‘the happiest place on Earth’. 1. 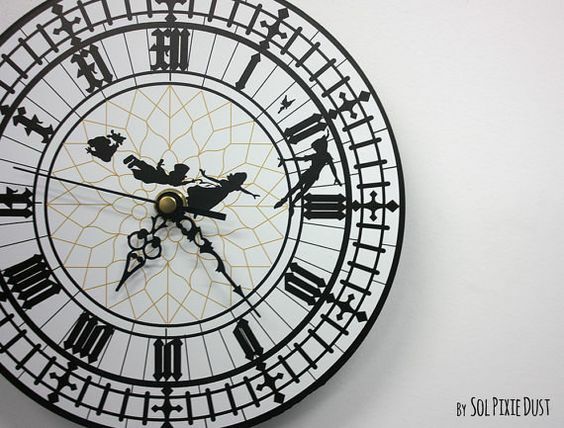 This cute Peter Pan clock. Every room needs a clock, if only for aesthetic purposes, so why not make it a fun one? This fun clock from Etsy gives off major “second star to the right, and straight on ’till morning!” vibes. 2. 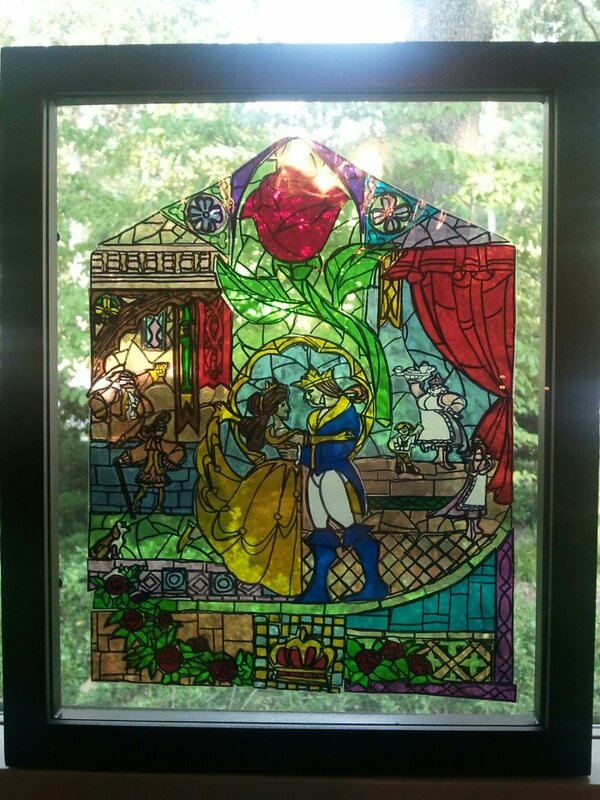 This DIY ‘Beauty and The Beast’ stained glass “window”. 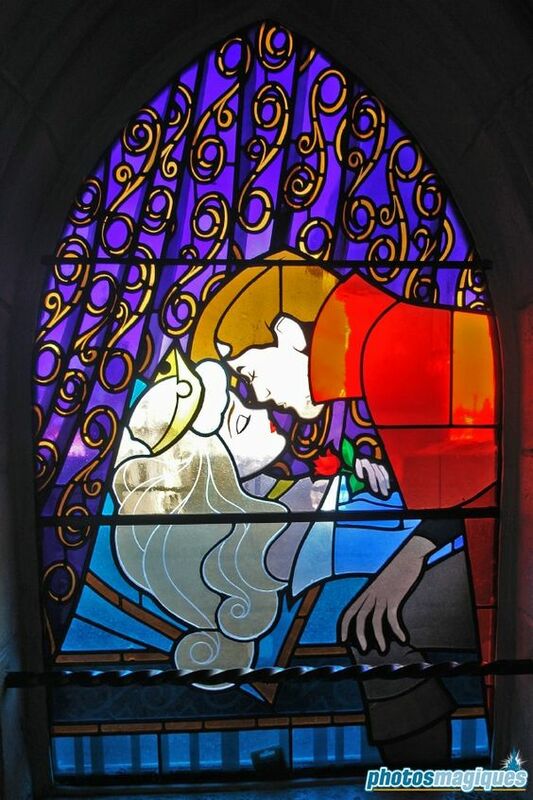 Using ‘Reality Daydream’s’ method, you can make a ‘stained glass’ replica from Beauty and The Beast, or if you’d rather, you can do one inspired by ‘Cinderella‘, ‘Sleeping Beauty‘, and countless other favorites. Choose whichever size frame you want, and voila! You have the perfect size masterpiece. 3. This familiar little candelabra. This is such a cute (and relatively inexpensive) lighting option for your home library, next to your stained glass art, or really anywhere. You can find cheaper options on Ebay, but the link we provided is the Disney-direct. 4. These sneaky little visitors. 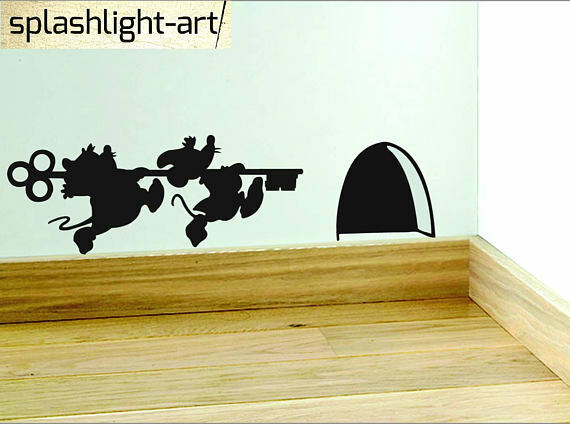 The only kind of rodents you actually want in your house- this decal can be done in a contrasting color, or a few shades darker than your paint so that anyone walking down the hallway *might* catch a glimpse of these little guys sneaking a key back to Cinderella. Or, if you feel really confident in your art abilities, this painted version is a cute option, too. 5. 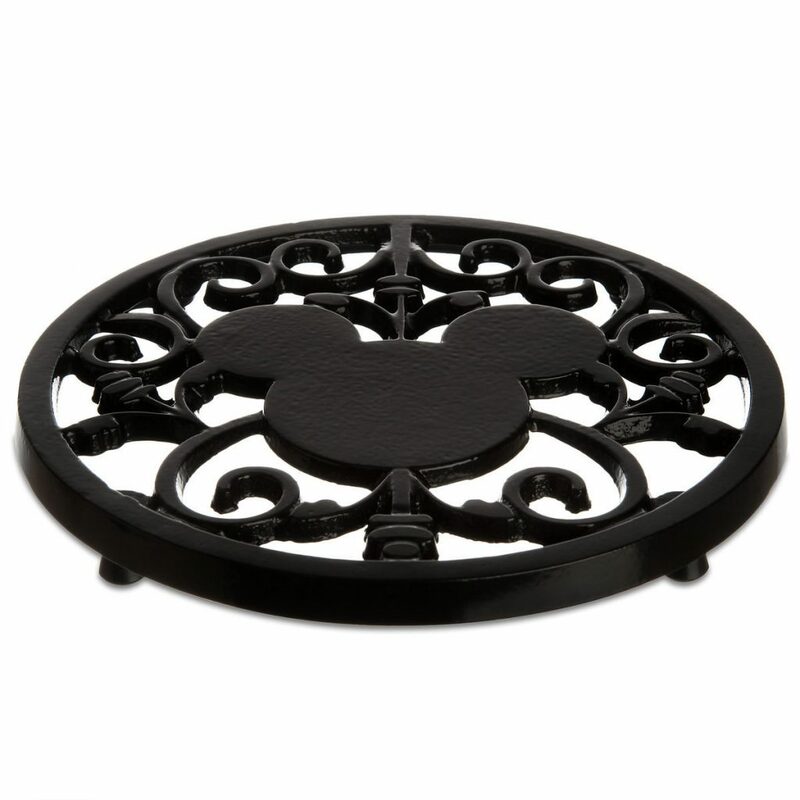 This elegant trivet for hot dishes. 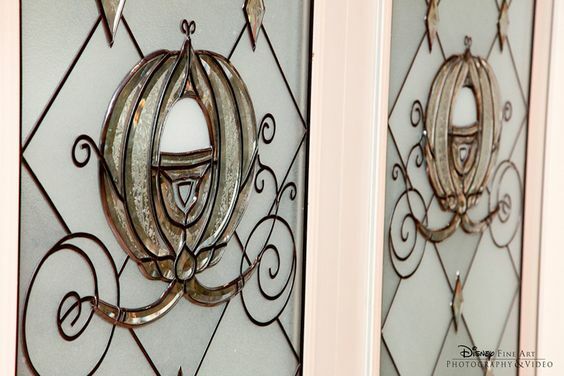 This piece allows you to keep your love for all things Disney ‘hidden in plain sight’, while serving up an elegant side of Mickey Mouse. 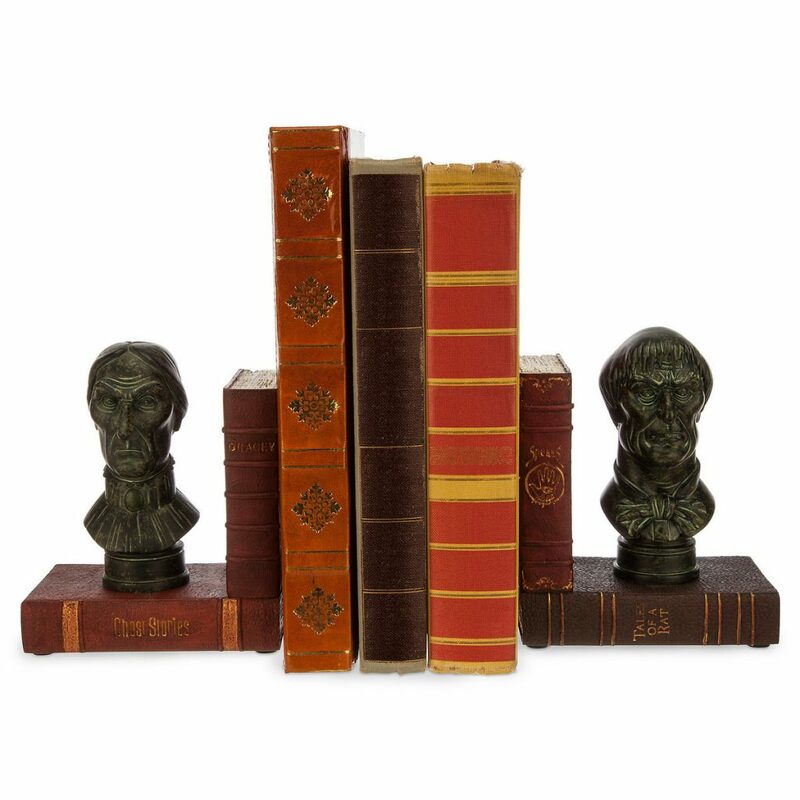 If you’ve got a desk, bookshelf, or library and a love for ‘Haunted Mansion’, then you’re in luck. 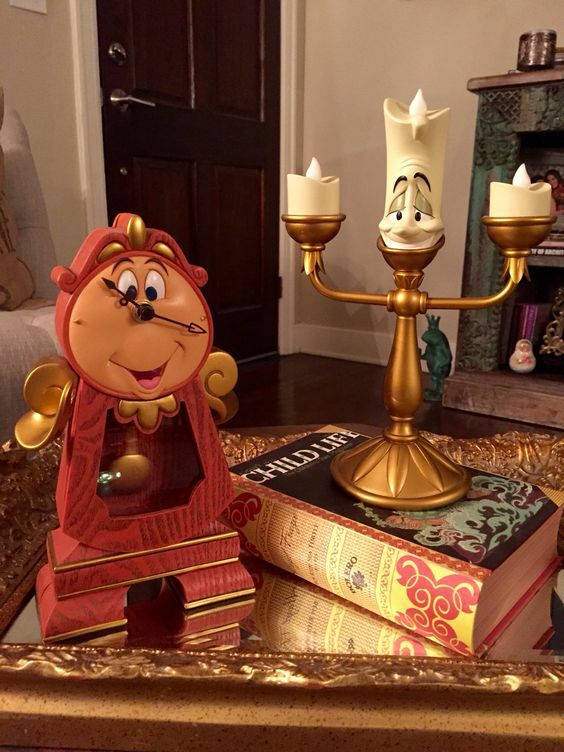 These subtle bookends add just a touch of Disney: enough to make your decor magical but not overwhelming. 7. This unique tea set. 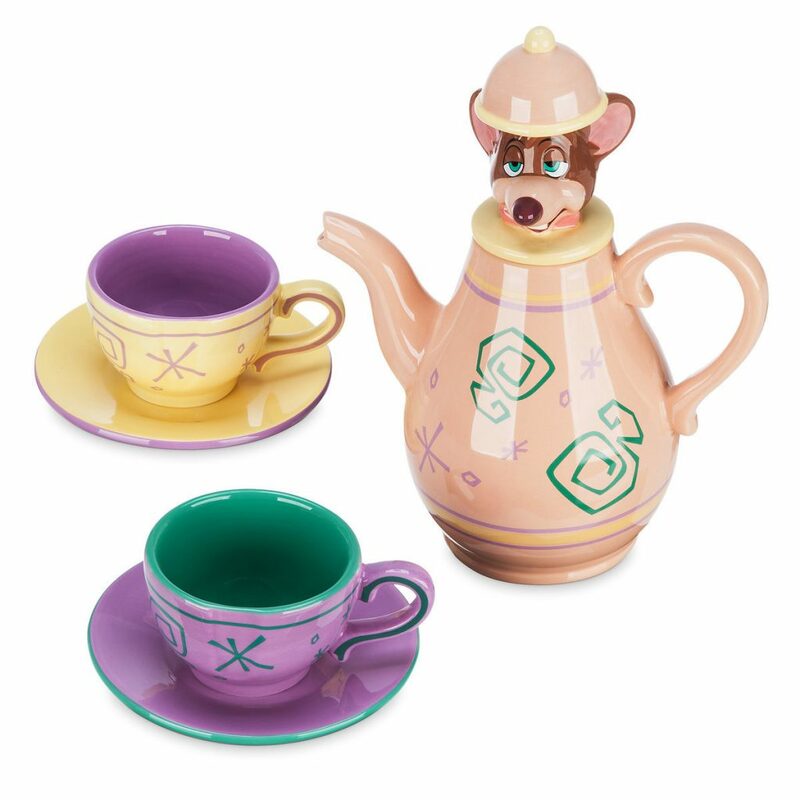 There’s absolutely no cuter way to serve tea to guests or family. This little set, straight out of ‘Alice in Wonderland’, adds a touch of fun to an otherwise mundane task- and for $65, it’s definitely cheaper than your average porcelain set (and way cuter)! 8. These (not-so-subtle) DIY directions. 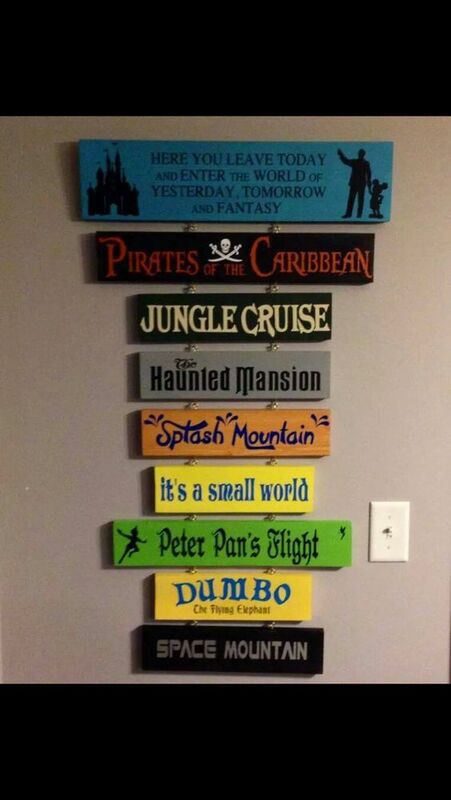 I hate to say it- but if you aren’t artistic, this could be significantly more difficult- but if you are, what a fun DIY way to display your favorite rides or movie titles in their respective fonts! 9. 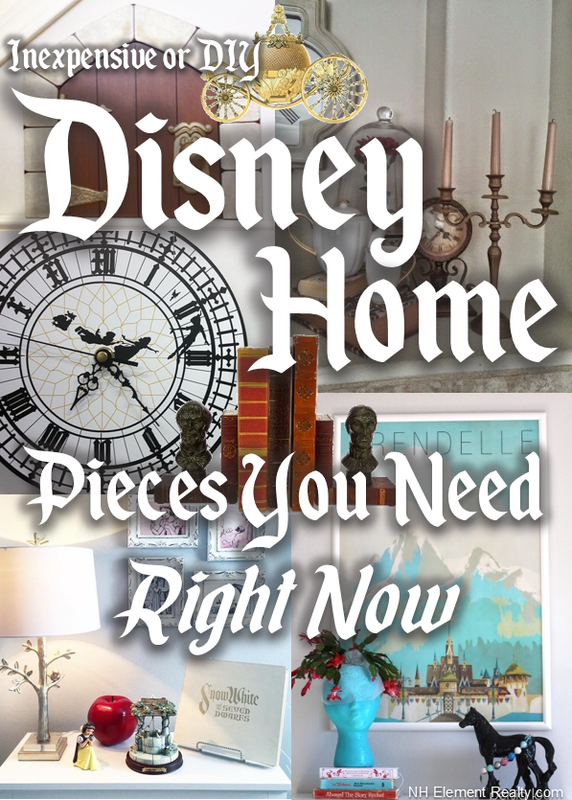 At LEAST one vintage travel-inspired (kind-of DIY) Disney poster. 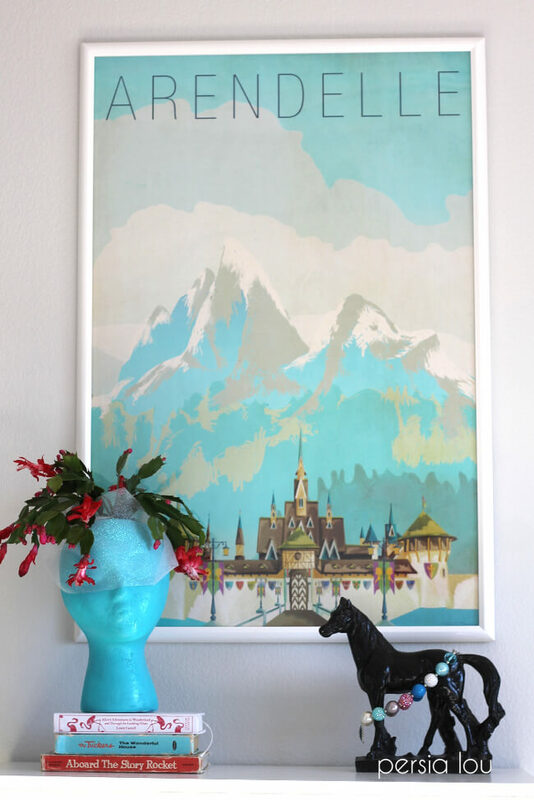 Make guests do a double take when they see that your vintage travel posters aren’t very vintage, or travel-y, at all! The link above (click the photo) provides a bunch of websites where you can download the cutest, FREE posters. Then, all you have to do is send those files to your favorite printer (Costco, Walmart, Walgreens, etc. ), order them in poster size (around 18×24), pick up a cheap poster frame from Walmart (like these)- or don’t, and you have a cheap (under $10!) addition to your home decor. NHE Tip: If you order your poster print from Walmart, you can also have the frame purchased online and waiting for you in the store! 10. A door to Wonderland. 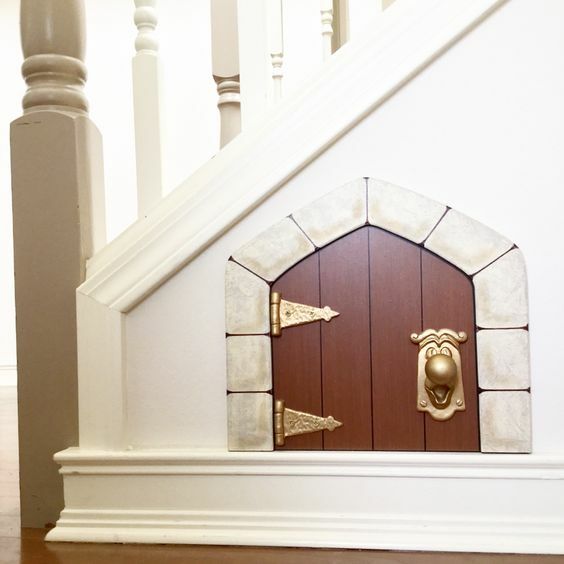 What better way is there to add a little imagination to your home than with this a-door-able (had to do it) prop! For just $60 and available in multiple hardware finishes, some “wood” say it’s worth it’s weight in gold. (We’re done with the puns, I promise). 11. DIY dedicated display areas. 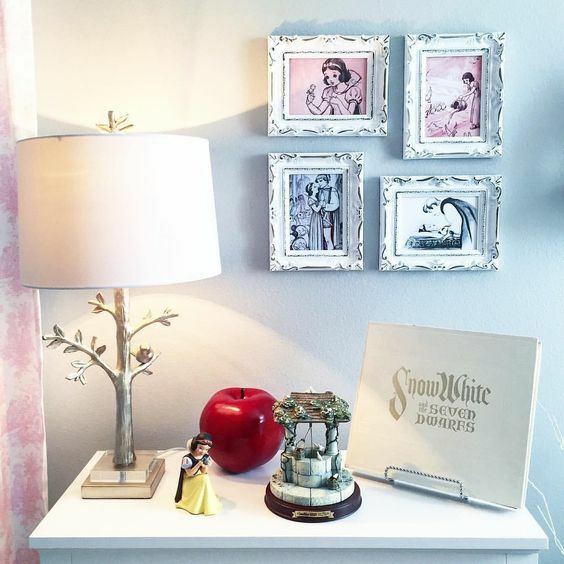 How cute is this Snow White-inspired decor area?! And Beauty and The Beast?! Putting objects that might otherwise seem completely mundane in the same place can totally change the feel of an area- take these for example! 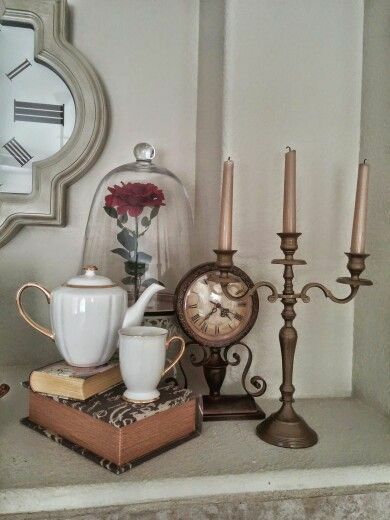 Gather up objects from thrift stores or around the house, and get to decorating! 12. A special, DIY sparkly visitor. By day, it’s a normal piece of decor- but by night, this little jar turns into a home for the cutest of guests! 13. 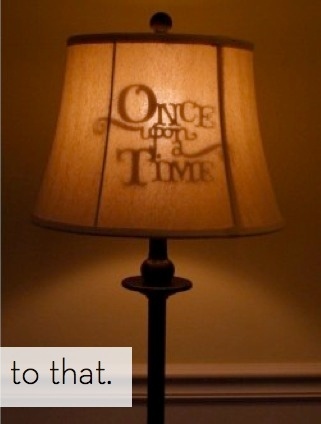 This DIY lamp with a secret message. 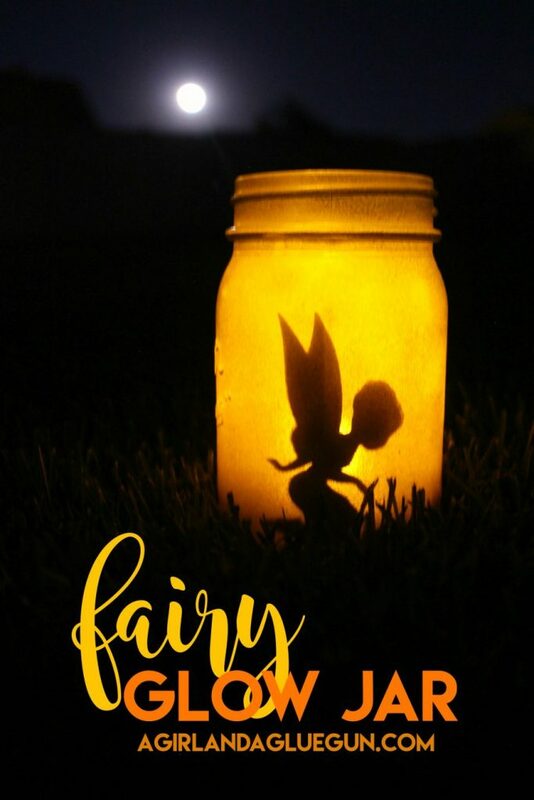 The options are endless with this tutorial- whether you want to use words, or have the silhouette of your favorite characters shining through, you can do it all by just changing the shapes. 15. The cutest speaker you’ve ever seen. 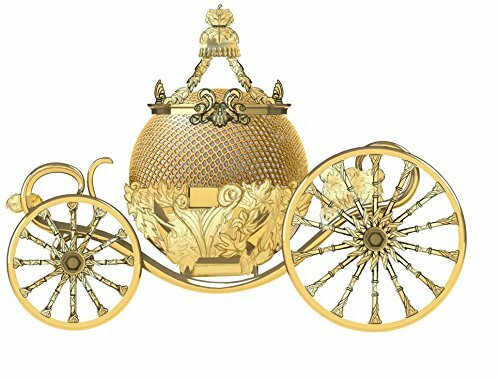 With sound fit for a queen and the most adorable look of any speaker ever, this little piece doubles not only as a piece of decor, but for playing music around your castle. 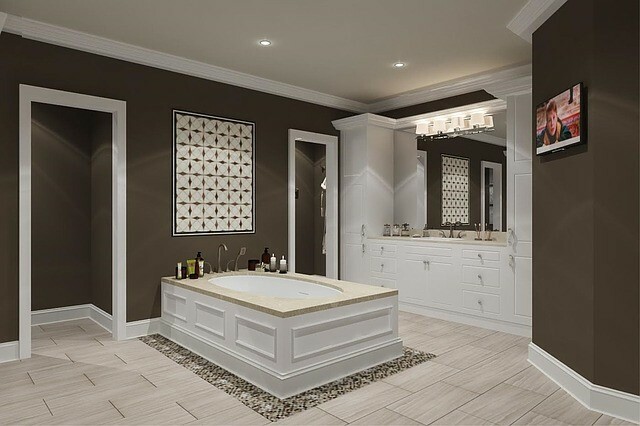 We hope you’re as in love with all those ideas as we are- we can’t wait to add a few subtle touches here and there- and when you do, send us a photo at info@nhelementrealty.com so we can feature your designs on our social media and blog! Moving is one of the most stressful experiences a family goes through. First, you have to accustom yourself to the changes that are going to occur. Second, finding a real estate agent and searching for the perfect place to call home can take months. Finally, the process of actually moving your life from point A to point B is stressful, time-consuming, and expensive. Of course, it isn’t all bad. There are tons of benefits of moving to a new house. You get to audit all the stuff you have and get rid of things your family does not need. A change of scenery can be good, especially if you are upgrading to a better job or bigger place. Finally, it can be a positive bonding experience for a family as you lean on each other to make the transition easier. If you find yourself in a position where you are ready to buy a house, take the following tips into consideration to streamline the process and make it as smooth as possible. Check your credit report. If it is less than stellar, check for errors and dispute any you find. If you owe money, work on paying that off before you consider applying for a home loan. If your credit score is acceptable, set aside the maximum amount you are willing to spend on a down payment. The more you can put down, the lower your monthly mortgage payment. Research your potential markets and figure out which markets have homes that fall within your budget. Find a lender. If you have a real estate agent, ask him or her for a referral. Your agent is more likely to set you up with someone who is willing to lend because your agent wants your home-buying venture to be successful. Narrowing your search by looking at online listings, details, and photos before spending your valuable time seeing the house in person. Tell your real estate agent about the listings you are interested in and ask him or her to obtain any additional information not listed online. Having your agent provide multiple listing service numbers regarding comparable sales in your targeted neighborhood or neighborhoods. If you find that choices are limited, consider looking at foreclosures and fixer-uppers that will save you money but will cost more in work down the road. While these houses require more resources, you have the flexibility to make changes as you like over time. When you find a home, make an intelligent and informed offer and be prepared to negotiate. Use a moving cost calculator to view quotes for all available moving options and find one in your budget. Account for unanticipated expenses that are bound to come up. Cut down on costs by looking for boxes and other moving materials for free on Craigslist. Schedule your moving day during the week for lower rates and less traffic. Moving is a huge life change for a family, but that doesn’t mean it has to be a negative experience. Preparing yourself is the best way to simplify the overall process and make sure it goes smoothly. First, you want your finances to be in order before looking at a house. Once it is time to look at the market, be flexible and use your real estate agent as a resource. Finally, when moving day finally arrives, save money where you can because unexpected expenses are bound to pop up. We’re so excited to ring in the New Year with all of you– and are proud to present you with our calendar or cheap (and or FREE!) 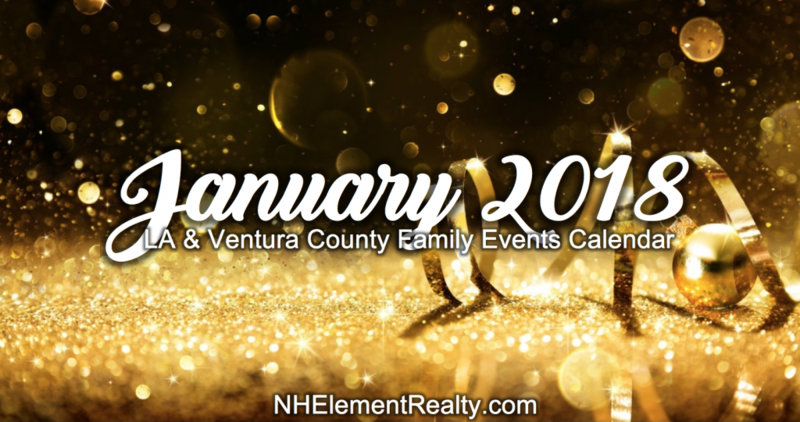 family events in the Ventura and Los Angeles Counties in January 2018. As always, simply open up the printable PDF below, or use its interactive features- just click the event to read more information! There are plenty of options to help you get started on those New Year’s resolutions, and spend quality time with your family and friends before school and work starts up again! Curated just for you, we’d love to hear about what you’d like to hear more about in the coming months, and what you’ve done and how you liked it! We can’t wait to see what the New Year has in store- and hope you’ll stay tuned for all the fun. Just because we live in a place where it’s gorgeous, sunny, and warm pretty much all year long doesn’t mean we can’t join in the winter fun and holiday spirit! We put together the ultimate ‘to-do in Ventura County’ list, so that any time you need date or family ideas this winter, you’re covered! There’s so much to do here- everything from singing-a-long with Santa to reading with therapy dogs (and there’s even fun for the parents!). Without further adieu, check out our December Family Calendar! As always, clicking on the picture will open up an interactive PDF that will allow you to print, and find more information on any of the events with just a right click! We’re thrilled to welcome fall back, here at NHE. And after Halloween, it’s time to get excited about bundling up for the cold weather, taking walks through the color-changing trees, and thinking about everything we’re thankful for. We’re so thankful to have each and every one of you as a part of the Element Realty family, and are thrilled to be a part of your community. 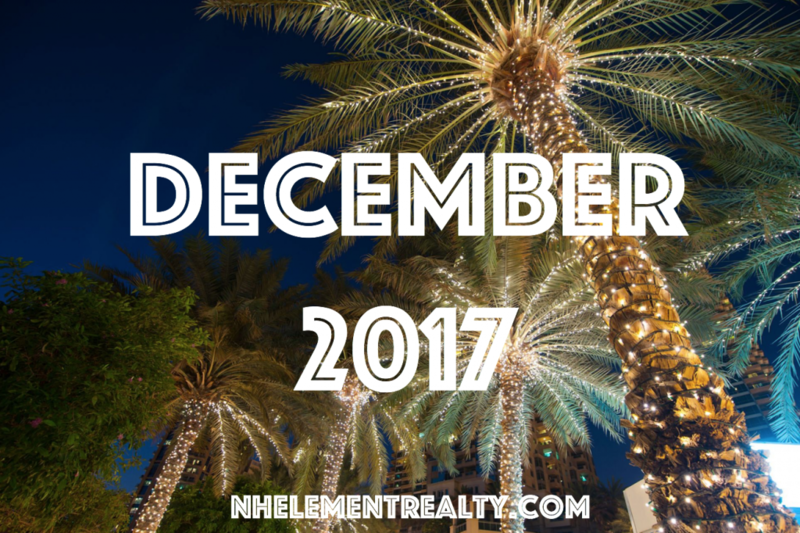 As always, if you’d like your event (or organization’s event) on our calendar, feel free to email us at info@nhelementrealty.com. 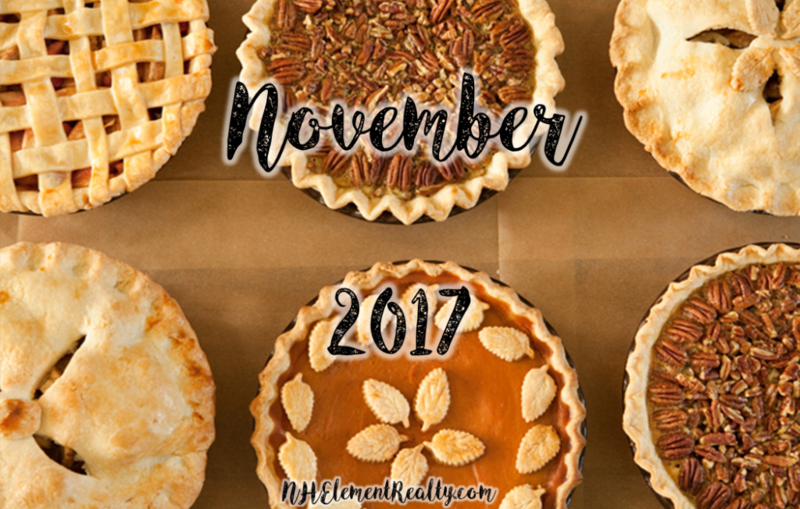 Without further adieu, go ahead and check out our November calendar of free (or cheap) family events in the LA & Ventura counties. Remember to use the interactive feature of the calendar- just click on an event and you’ll be sent to a page with more details! Sure, carving pumpkins is a traditional way to prepare for Halloween- but let’s face it: there’s a lot of good reasons to switch it up. Pumpkins don’t smell amazing. Maybe you’ve never noticed this, but if you refrigerate your pumpkins for a day after carving them, you’ll know exactly what I mean. Or, if you have to dig deep in that pumpkin to light the candle inside, you know. You don’t have the time. Even if you have kids, having interior decor that isn’t on a slow path to rotten vegetation is pretty nice. Every year, just pull these babies out and feel festive- instantly. Buying new pumpkins every year is an unnecessary weight on my wallet. Why pay every single year to do the same thing? Instead, all you have to do is open up a box of holiday decor, pull these suckers out, and viola, you’ll look like Martha Stewart (minus the jail time). You get it. It’s a great idea. 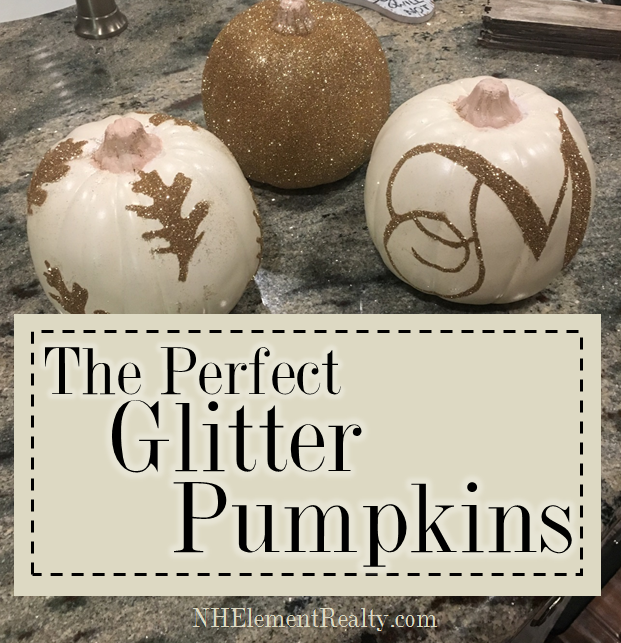 So without further adieu, here’s the easiest way to make glittery pumpkins in ANY shape or size! Step 1. First things first, buy yourself some pumpkins. (And excuse the lighting in these photos). Step 2. Get that tape ready. As you can see, I used a plastic cutting board as my surface. I figured that wood might leave some tiny fibers in the tape and effect its ability to stick to the pumpkin, so I decided on a thick plastic cutting board that an X-acto knife couldn’t cut through. Key word: could NOT. You don’t want to learn that the hard way. I laid the tape down in two directions (vertical and horizontal) to give it more stability so it wouldn’t fall right apart when I lifted it up. Step 3. Trace your design. 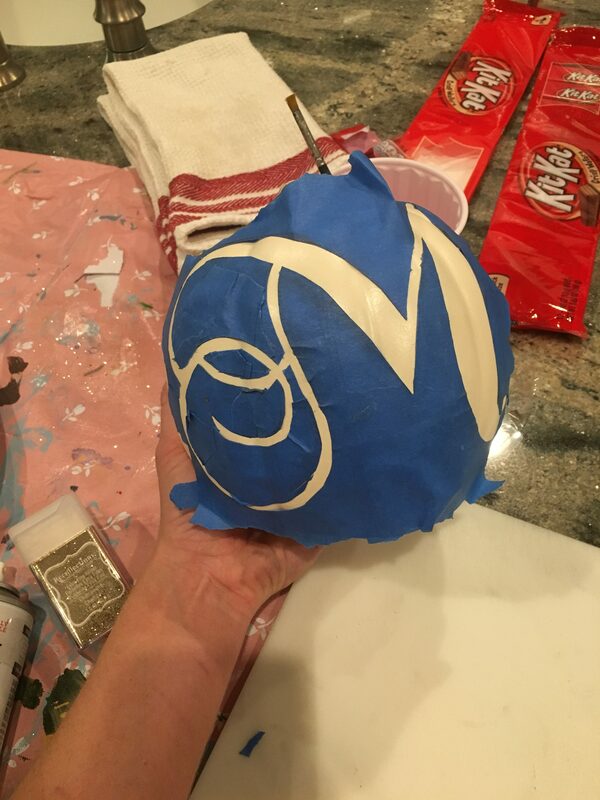 For my first pumpkin, I wanted to do a monogram M- and for the second, I made a leaf pattern. Same process for both: trace it from something else, or draw it freehand. If you’re not a talented artist, you can print out the shape you want, place is over the middle of the tape area, and then- using a Sharpie- bleed the ink through the paper in a series of dots that you can then connect. Pro Tip: smaller images are more easily transferrable. Step 4. Outline your shape. An X-acto knife is a great tool to get those tiny, precise areas. Just be careful, or you’ll turn your craft zone into a real-life horror movie. 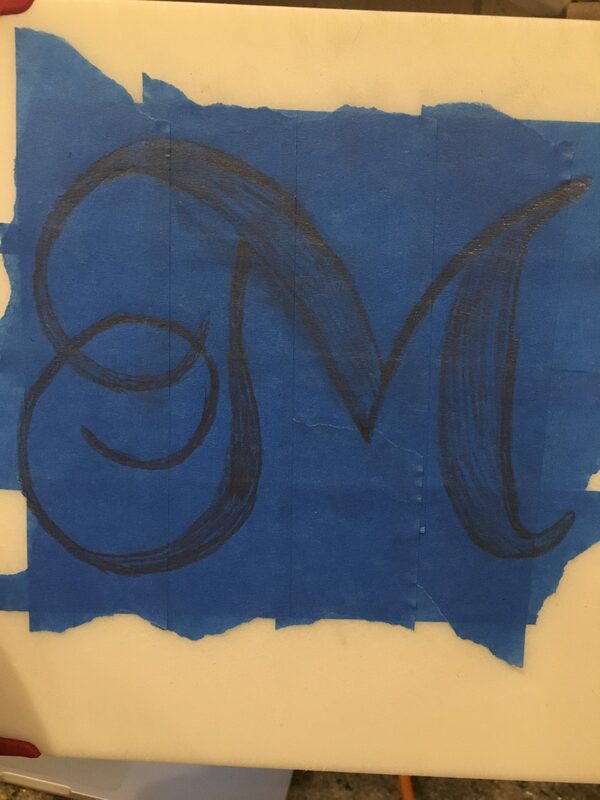 I decided to do this project with two different shapes- one (the one in the photos) was a monogram, and the other one (seen at the end) was leaves. 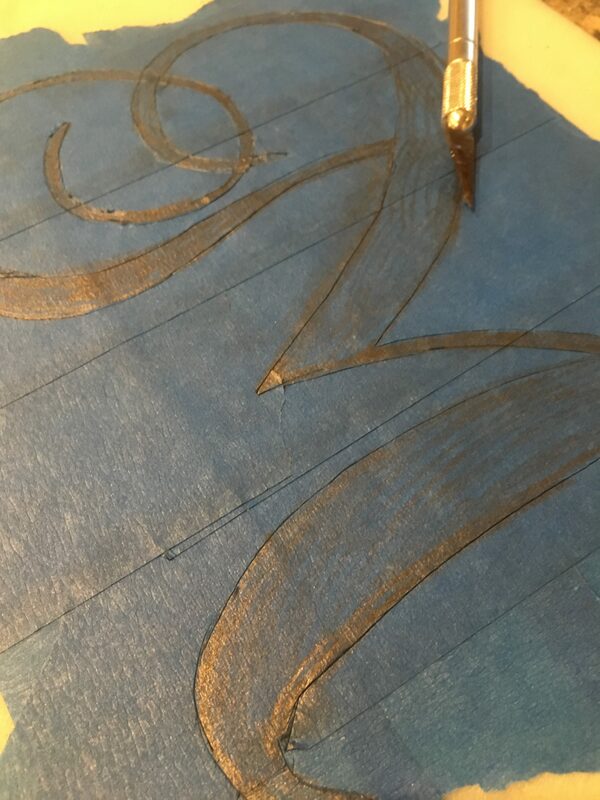 The tape will only stick a max of two times, though, so if you’re doing a smaller shape and multiple repetitions (like the leaves), be prepared to use a few of these tape stencils. Step 5. Remove the inside. I used the tip of the X-acto knife to help with this one, so I wouldn’t create any bumps in the tiny, precise areas. It makes the whole process so much easier. Step 6. Transfer your design to the pumpkin. Depending on the size of the pumpkin, you might need to make some adjustments. Have some extra painter’s tape on hand so that you can fix and snafus. This is also an opportune moment for a candy break (as you can see below). Make sure that the inside edges (anywhere the glitter will touch) are sealed tightly. Otherwise glitter and glue can get underneath and mess up your perfect design. Step 7. Spray a layer of the adhesive (trust me, I tried plain glue and Modge Podge and it was nowhere near as effective). Then sprinkle a layer of glitter. 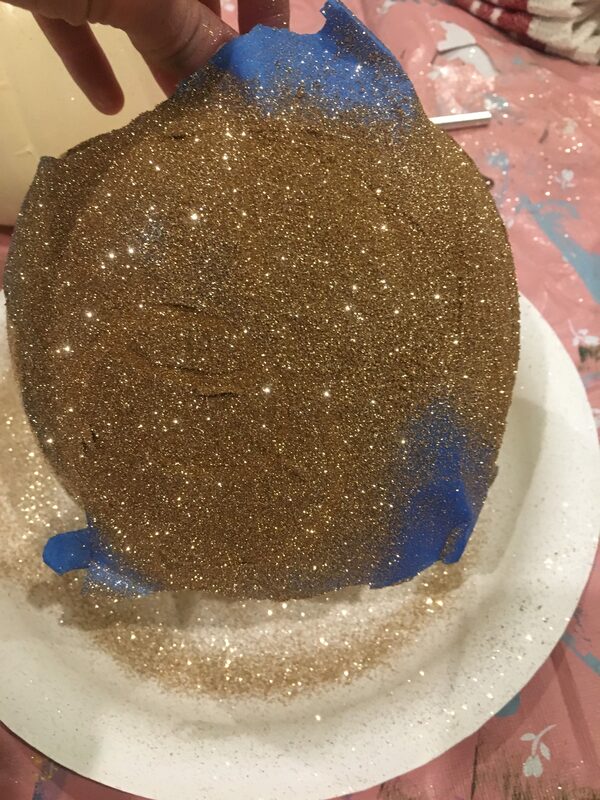 Pro Tip: do it over a paper plate to make cleanup way easier and allow yourself to re-use the glitter. I let it sit for maybe thirty seconds then tapped the pumpkin to get the excess glitter off. Step 8: Repeat step 7. 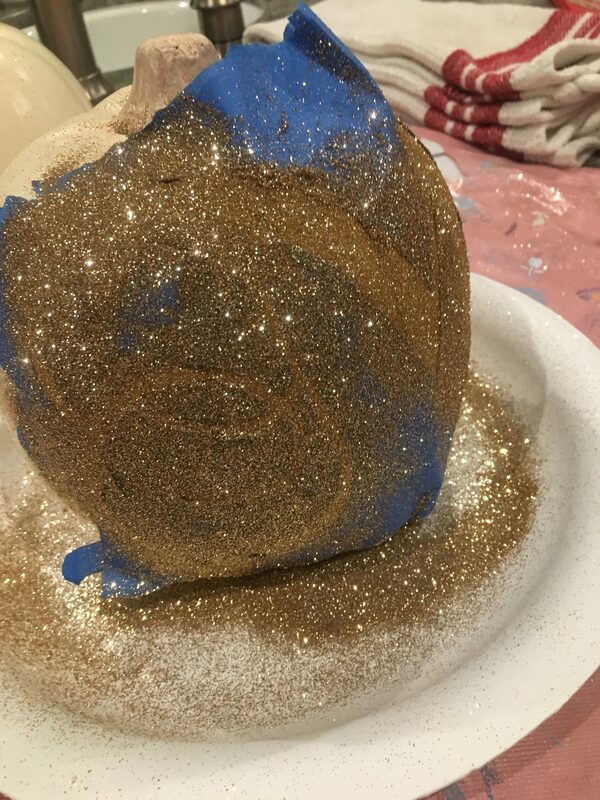 I did two coats to make sure the glitter was thick enough to be well visible but not chunky. Step 9. Let the thing dry. Give it 10-15 minutes, just to be safe. This is another great time for a Halloween candy break. Step 10. 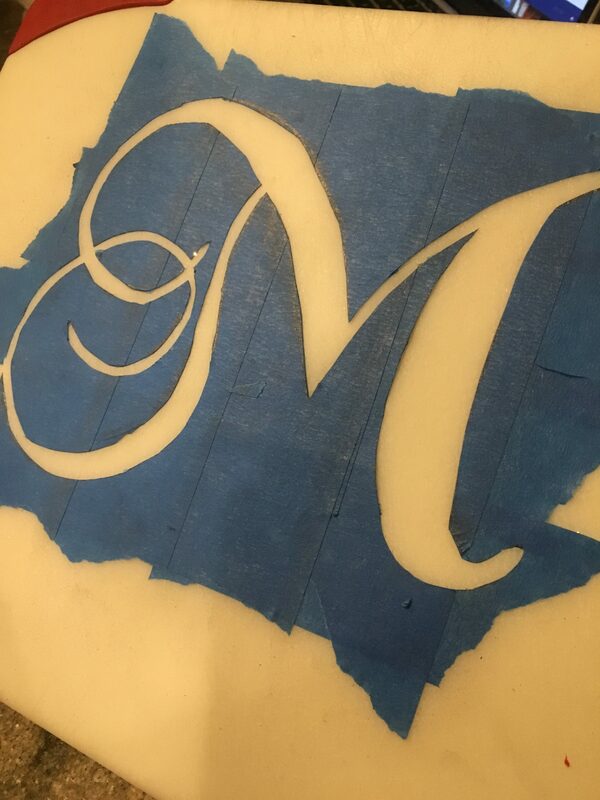 Remove the tape stencil. 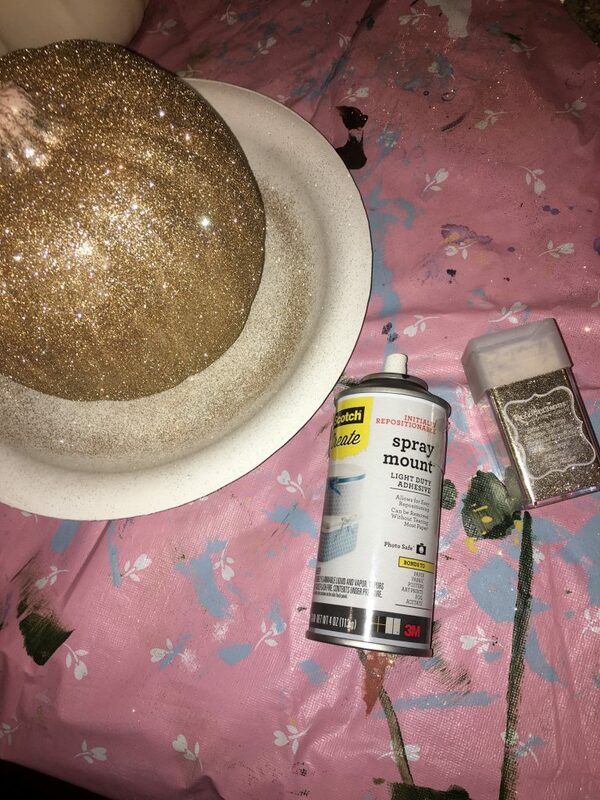 Do it slowly, so you don’t disturb any more glitter than you need to. And…viola!